Gilbert Doho is Associate Professor of French and Francophone Studies in the Department of Modern Languages and Literatures, as well as the Academic Representative in French. He obtained his Ph.D. (1992) from the University of Sorbonne Nouvelle, Paris III. His areas of specialization are Twentieth Century French Drama, Francophone Studies, African Performing Arts, and Cinema. 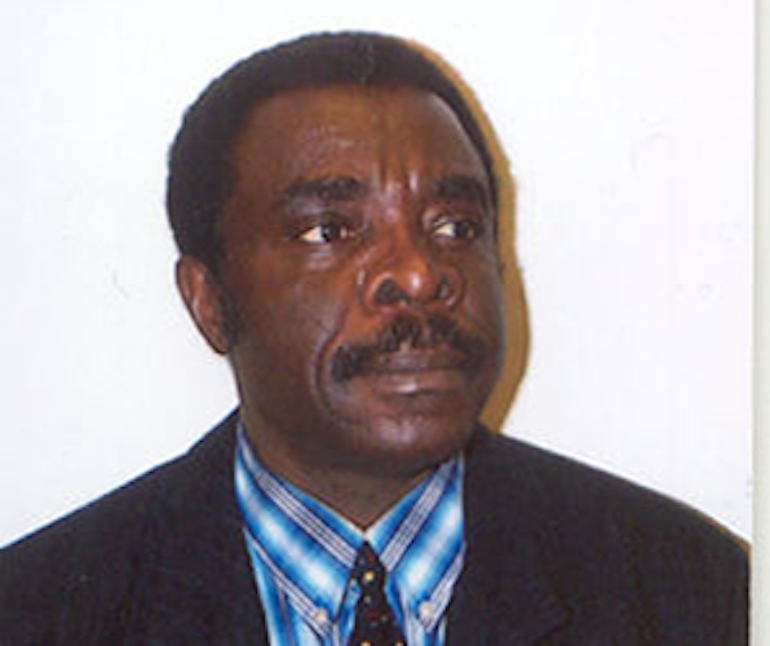 He has published articles in Présence Africaine, Présence Francophone, Research in African Literatures, Signs, Matatu. A theater critic and playwright, he has published Théâtre populaire et réappropriation du pouvoir au Cameroun (SHERPA, 2002), and has contributed in writing chapters in The World Encyclopedia of Contemporary Theatre Volume 3: Africa (Routledge, 1997), Le Dictionnaire des ouvres littéraires d’Afrique francophone (Bethesda, ISP, 1996), The Dictionary of African Biography (ed. Henry-Louis Gates. New York: Oxford University Press, 2011). His published plays comprise Zintgraff and the Battle of Mankon (in collaboration with Bole Butake, 1998), Noces de Cendres (Wedlock of Ashes, 1996), Le Crâne (The Skull, 1995), the censured version of his Au-dela du lac de nénuphars (Beyond the Lily Lake). He is currently working on urban theater as a powerful tool of minority empowerment in the U.S. Recent publications include People Theater and Grassroots Empowerment in Cameroon (Africa World Press, 2006), Poésie et luttes de libération au Cameroun (Poetry and Liberation War in Cameroon. Yaoundé: Ifrikiya, 2007), Désastre a Fodong (Disaster in Fodong. Paris: L’Harmattan, 2012), Le Chien noir: La Confession publique au Cameroun (Black Dog: Public Confession in Cameroon. Paris : L’Harmattan, 2013), La Cicatrice. New Jersey: Africa World Press, Second Edition, 2013. Régime de l’Indigénat ou fondements des états autocratiques en Afrique francophone. In order to control the indigenes, the subjects in its colonies, France conceived and published a number of ‘laws’, almost always, arbitrary executive orders by brutal and merciless administrators. Veritable instruments of torture and enslavement these executive orders functioned in the same way as did the infamous “Black Code” proclaimed by Louis XIV. Postcolonial Strategies: New Technology and Publishing in Africa. Among the major instruments for the spread of the colonial ideologies were books. They not only served in poisoning the mind of the colonized, but most subverted the psyche in order to make of them, assimilated hybrid, the other, the good savage eternally at the margin of the empire. These books were conceived and fabricated in the Metropole, far away from the consumers, the indigenes, the subjects. He who controls book market controls the mind of the other. Consequently, to decolonize the minds the periphery has to take control of this major economic subfield. This has been made possible with the advent of new technologies. They have enabled the surge of new writers, new publishing houses which question the hegemony of Center based publishing Corporations such as Nathan, Oxford University Press, Harmattan, Hatier, Seuil.